Soak Jemila Kibbee Mix in 1 cup of water for 15 minutes. Mix with mashed potatoes. Serve in a mound on a serving platter. 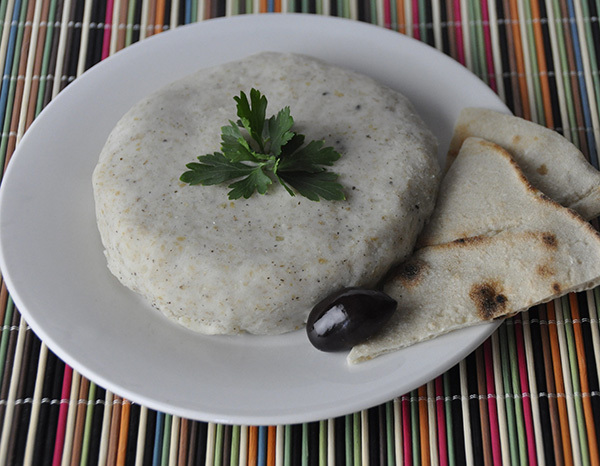 Then spread on your dish, flatten with a fork, top with olive oil and eat by pinching with pita bread. Optional; top with mild or hot peppers, or fresh green onions. Jemila Foods, Division of Rafka Foods, Inc. Copyright © 2019 Jemila Foods, All Rights Reserved.